Portal Technologies > Blog > IT Services > Our Apprentices – Where Are They Now? MIKEY MARR AND SOPHIE MCGRAW, THEIR JOURNEY. 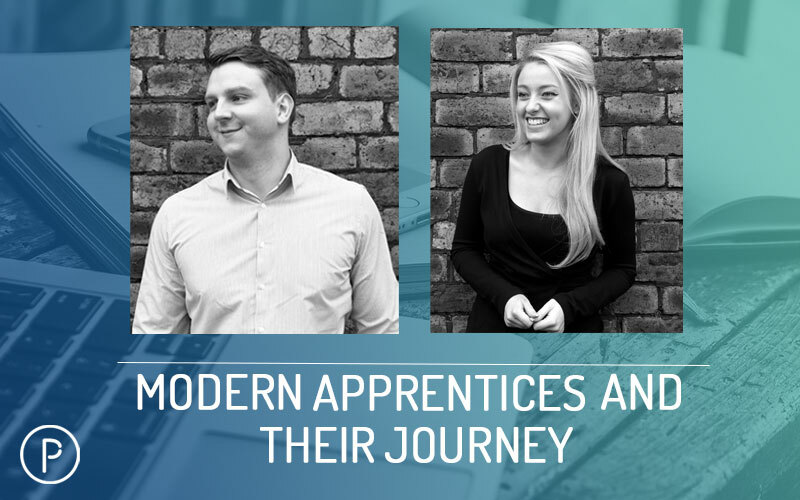 Following up from Modern Apprenticeship week, we would like to share some of our apprentice’s stories and how far they have come during their time at Portal Technologies. We sat down with Mikey, our Technical Support Manager, and Sophie our Marketing Assistant to discuss their time here at Portal and what they have achieved. Mikey started at Portal Technologies in June 2012, only 19 years of age, undergoing an apprenticeship in Information and Communication Technology Professionals. After successfully completing his apprenticeship, he was offered a permanent position at Portal. Mikey has grown with the business over the last 6 years and now manages our IT helpdesk. Mikey is a great ambassador of our apprenticeship scheme and shows how his hard work and determination has moved him into a management role. What did you learn during your apprenticeship and what have you learned during your time at Portal Technologies? Sophie started at Portal Technologies in September 2015 undergoing an apprenticeship in Level 3 Business Administration. Sophie flourished in her apprenticeship and started to widen her knowledge in other areas of the company. When joining Portal Technologies Sophie was unsure of the direction she wanted to progress her career in wanted to get a good all round understanding of the various roles in business. The management team at Portal soon recognised Sophie’s creative skill and engaging personality which were ideally suited to a role in social media. As such, Sophie has continued her leanings after her apprenticeship and is forever expanding her skill set.